Olympiad collects personally identifiable information ("Personal Information") such as your full name, email address, mailing address or telephone number, etc. only in order to create or enhance our relationship with you. When we collect this information from you, it is because you voluntarily submit the information to us in order to access tests, blogs, contests, surveys, forums, subscription registrations or bulletin boards, in connection with content or suggestions you submit to us or because you want us to furnish you with products, services or information. We may also obtain Personal Information from third parties. 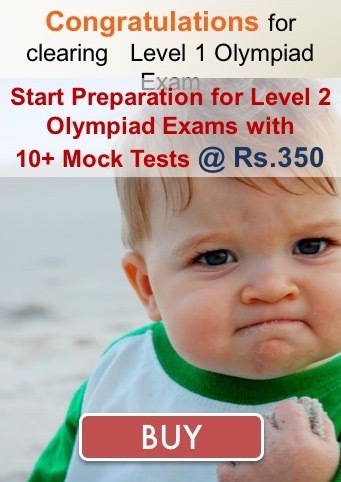 Cookies are small bits of information that the Olympiad Success website place on the hard drive of your computer. Cookies remember information about your activities on our site and enable Olympiad Success to make your visits to our site more enjoyable. For example, cookies can store your password for easy logon to a site you have previously visited, can save your preferences for a personalized home page. Information about your activities on Olympiad Success site and other non-personally identifiable information about you may also be used to limit the online ads you encounter to those we believe are consistent with your interests. At the time you provide your Personal Information, Olympiad Success will notify you of your options regarding our use of Personal Information, including whether we will share it with outside companies (See “Choice” below). This Policy describes the types of other companies that may want to send you information about their products and services and therefore may want to share your personal information, provided you have given Olympiad Success permission to do so (see "Use" below). USE: Olympiad Success’s use of personal information. Olympiad Success will use your Personal Information provided under this Policy in a manner that is consistent with this Policy. If Olympiad Success obtains Personal Information from a third party, such as a business partner, our use of that information is governed by this Policy. Olympiad Success may share your Personal Information with companies that are affiliated with us. 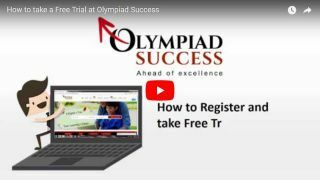 Olympiad Success may also share your Personal Information with advertisers and business partners that are not affiliated with Olympiad Success, but would like to send you information about their products and services. Olympiad Success may also enter into agreements with outside companies that possess the technology that allows Olympiad Success to customize the advertising and marketing messages you receive on our websites. Your non-Personal Information and click stream data about your activities on our sites may be shared with these companies so this customization can be accomplished. These companies will not share your information with any third party or use it for any other purposes. Anonymous click stream and demographic information may also be shared with Olympiad Success’s advertisers and business partners.